I wish life was more obvious about what steps I should take for the next phase in this ongoing process. I have a ways to go before I have the finished product that I want. 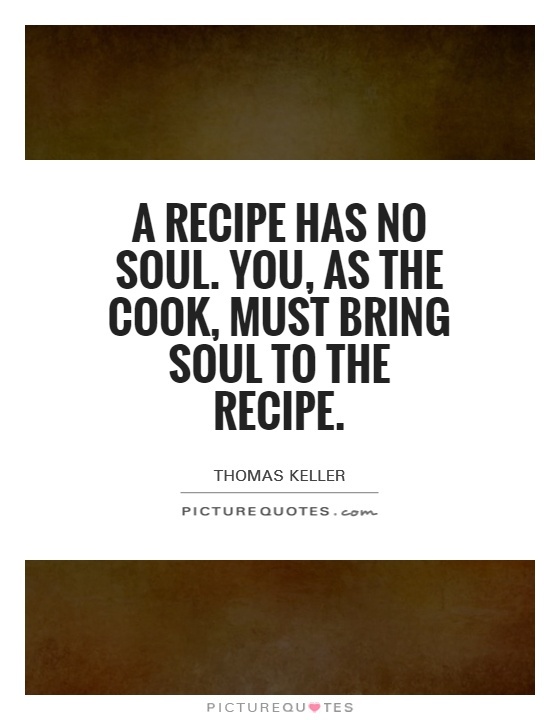 In many respects, I am someone who is seeking life’s recipes. Just like how cooking saved my life years ago, it’s time I figured out the right kind of steps I need to take for the next phase. We follow recipes because we expect a certain result to happen if we carry out a particular sequence of steps to a T.
If it’s a winning formula, why not? We need direction. We need guidance. We all need some form of a hint as to what we should get done and how we should go about it. Otherwise, you never know what will happen. Surprises, sometimes anyway, can be devastating. I know firsthand in more ways than one. A lot of this blog’s existence does stem from a lot of highs and lows, or more like a constant accumulation of new ones to sort out. It took a lot of trial-and-error scenarios before I started to get back (somewhat) on track. For me, I was a lost soul in so many regards. I had no inkling of where to go, what to do and I was on the verge of shutting down completely. The process has been grueling. The personal challenges have tested my willpower and resolve. At the end of the day, I survive, but I never thrive because I just always feel like I am barely getting through it all. It would be wonderful if I could get the end result that I truly desire: an attainment of what I would call “success” and all its glory. I want to be successful because I think we all should strive for our individual potential. Why underachieve? Why settle for less? If there is something I hold dear to my heart, it’s the notion that hard work (eventually) pays off at some point. I will never ever change my mind about this. I recall me thinking this even when I was just a kid in grade school. I still remember the other kids who clearly had no direction in life, no target to aim for in the long haul and I didn’t want to get sucked into that way of thinking. I did not want to adopt a crappy attitude, if you have to label it as something. Yes, it’s a bad attitude to have by all means. People who don’t have the right mix of emotions toward a given thing are destined to not accomplish much, if anything at all. Those other kids just showed up to class because they had to. They had no intention of doing well in school. It was just time to waste before they (hopefully) graduated at some point. I literally thought I was going to be better than them easily at one point. Little did I know, being too prideful when I had yet to see the real world for myself proved quite humbling later on. When you think you are going to be an instant, newcomer hit in the journalism world… only to be subjected to long-term unemployment and living in your parents’ basement for an extended period of time, you wake up. And by wake up, it was like I finally saw what reality was for the first damn time in my life with eyes wide open. Don’t get me wrong. I wasn’t the most determined kid in school, but at least I knew I had to get good grades. It was something I did right, for what it’s worth. I just lacked a lot of maturity in many departments, and this ultimately would spell out disaster for me down the road. Fast-forward to my current state of affairs. I am still working as a cook. I have improved a lot. I have grown stronger. Check out what I made for lunch yesterday. I posted it on Twitter because I was so proud of what I put together. It’s a custom, tweaked phad Thai dish I made. And for the record, it was delicious. If it were awful tasting, I wouldn’t even bother showing the picture. The point is, I learned how to be a better cook by persevering. There was one point where I was too weak to hold the wok with my left hand. I couldn’t even flip anything inside of a wok for a long time. Hell, I’ll admit it because it’s true. I was scared of the flames underneath the wok a long time ago as well. It’s quite funny, looking back at it. My, how time has flown by, and a myriad of positive changes have followed! I am no master chef at this stage in the game, but I want to keep trying to learn. I want to get better at this stuff, even if it’s only for my own culinary amusement. Still, cooking has saved my life for a reason. It’s why I keep going back to the restaurant stuff when part of me thinks I should have moved on by now. It’s quite conflicting, don’t you think? Regardless, I hope life itself gets easier to figure out as long as I keep my head up and look ahead toward the future. I once tunnel-visioned too hard when it came to hopes and aspirations. I disregarded any other alternative, when the harsh reality is sometimes you have to deviate off the beaten path to find what you are truly looking for in this mysterious journey we all undertake. Sure, having a proven-winner recipe would be nice to have, but I now believe improvising is a viable option when you need to shake things up a bit. The difference here in this year of 2016 versus me in 2010 is simple – I am by all means wiser now than I was as that naive college graduate. I had a lot of experiences that shifted my point of view, altered my way of thinking and everything thankfully motivated me to soak in the lessons learned from both the hardships and triumphs. I am nowhere near finishing what I have started. I am definitely a work in progress in a lot of ways. But as long as I keep hanging in there, as long as I keep trying to solve this life recipe and all it has to offer, I’ll figure it out someday. Someday may very well be right around the corner. Hello! How’s 2016 doing for you so far? When discovering what it is you want to be, never forget who it is that you are. Yup. As soon as I accepted certain aspects about myself, life started to make more sense.